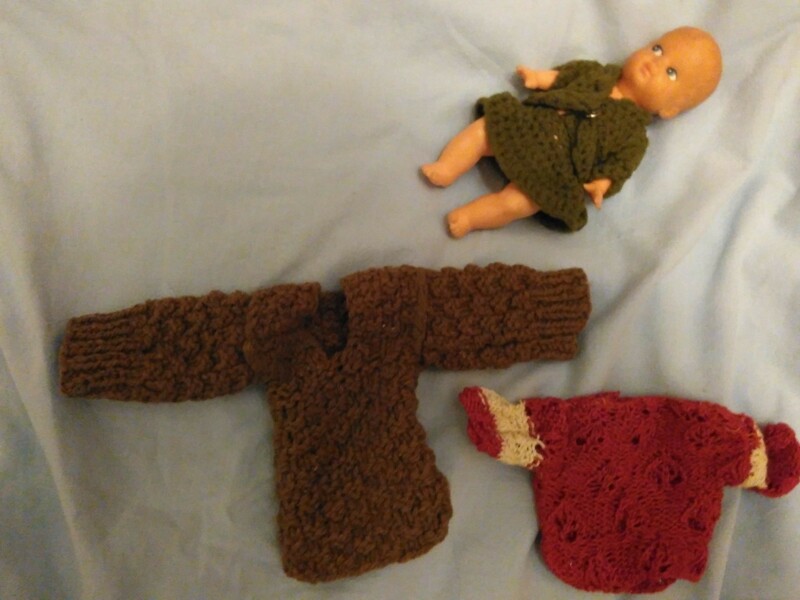 Hello, and welcome to my blog, where I share all things about my passion in life – knitting, crochet, and who knows, maybe other crafts later on. My name’s Leyla. I’m from Moscow originally. Having traveled around Europe a bit, I’m now settled with my two kids and my man in the south of France. 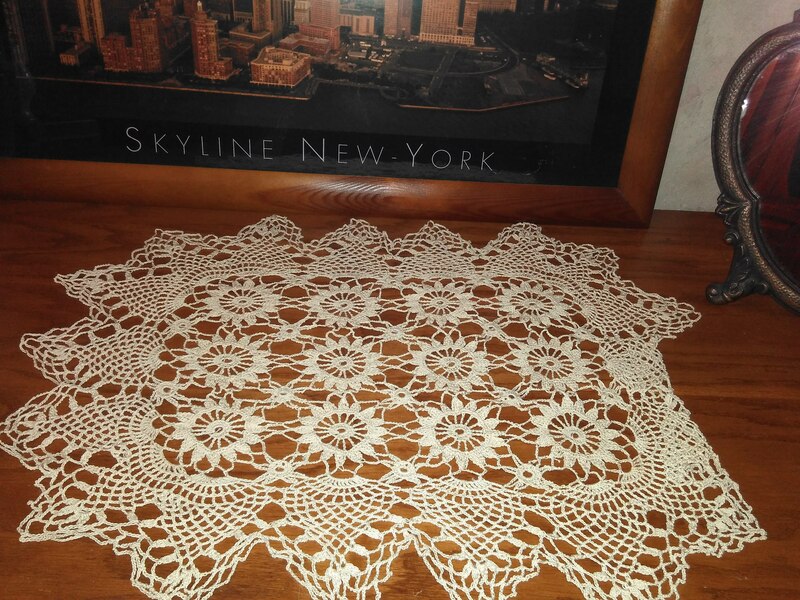 Knitting and crochet have been in my life since early days, and have developed into an important part of my life that I would love to share with as many people as I can. 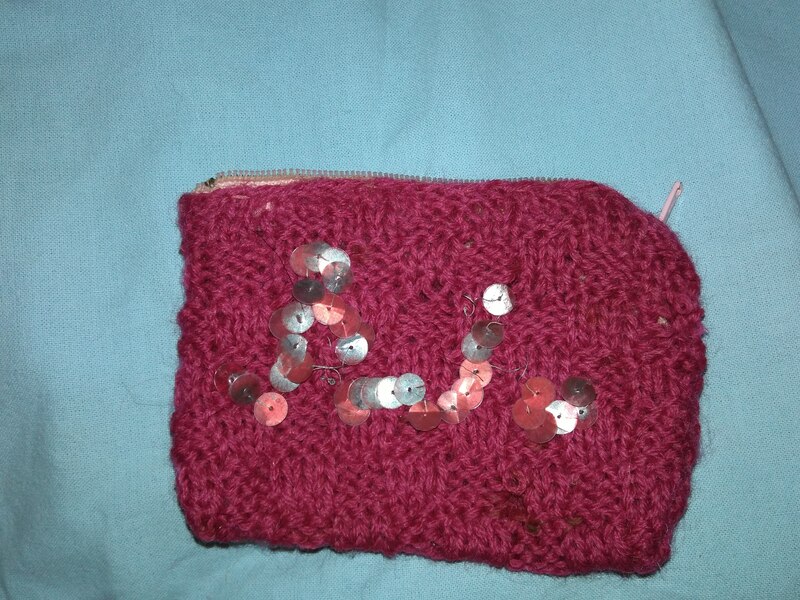 I have been knitting and crocheting since I was very young (5 or 6 years old maybe?). Both of my grandmothers, my great-aunt and my mom taught me. I was crafting through my childhood. At that time, in Russia, access to knitting and crocheting patterns was somewhat limited. So from early on, I was “designing” my own patterns. I would think of what I would like to do, choose a stitch pattern, and start working on the project, figuring out shaping as I went. That, of course meant, a lot of ripping back and tinking, but I also learnt a lot :). I did much more crochet then. Two needles were two much for my clumsy hands, and I had no clue how to pick up dropped stitches. When I was 14, I got really seek, and spent a bit of time at a hospital, and at home (as I couldn’t go to school and studied for a year at home). My mom felt I needed a hobby that would keep me busy and cheer me up. So we went out and bought a set of lovely Pony crochet hooks (I still have them), some pretty yarns and a crochet magazine (it was a special edition of Burda, which has lots of great projects in it – once again, I still have it and use it from time to time). I made quite a few things during that year, and crochet did truly, along with other efforts, help me through those hard times. 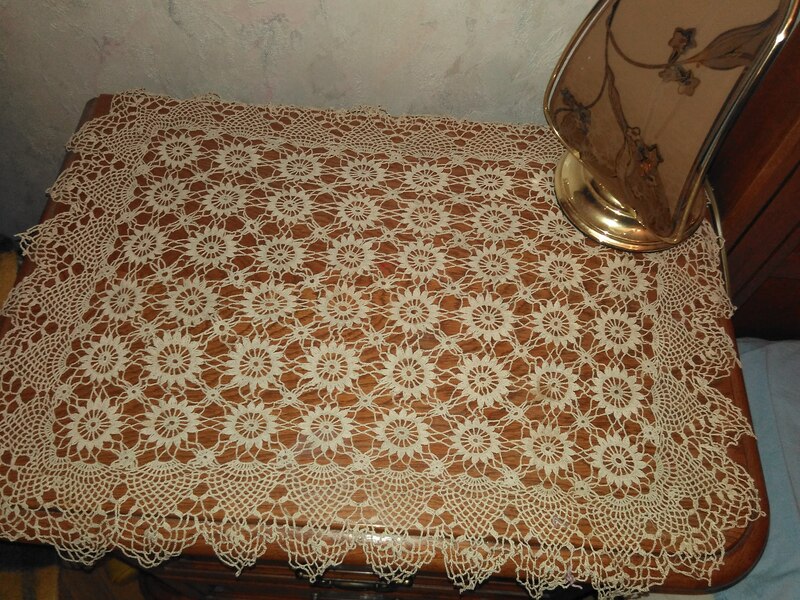 As I moved into late teens and adolescence, I didn’t do much (but I did finish a beautiful lace project I started when I was ill) – there were things that were more fun at the time. But then, as I progressed towards mid-twenties, I re-discovered crafts. At this stage, I got seriously into knitting. I made some shawls, a vest for me, and a huge sweater for my boyfriend (we’re still together, 10 years and countinf, so don’t believe the curse! ), based on swatches and a typing-machine sweater “recipe” I brought with me from Russia. I then started hunting for magazines, eager to learn new techniques, new constructions- some more successful then other. Then I found that Internet has plenty of knitting and crochet resources, and, eventually, Ravelry. This took me to a whole new level. I learnt so much in the next few years, it’s unbelievable. New techniques, new patterns, new approaches. I still make mistakes. I still rip and tink and frog. But those items that I do finish, I finally can say I’m proud of of them. And I keep discovering new things to try – isn’t it exciting! I have to say, that knitting and crochet really help me through various times of my life, and have become not only a way to express my creativity and a desire to create, but also a great stress relief. At this point in my life I feel a really strong urge to share what I know, what I’ve learnt with others. I dream of creating a strong local knitting community here on Cote d’Azure (and when I say knitting, I mean also crocheting, felting, spinning, tatting – you name it!). I don’t know how to start really, and whether it will work out. Although I am sure that there are plenty of crafty people here in South of France, and I know a couple of them, building a group of people that would meet regularly and share their work seems like a complex task at the moment. Well, I’ve always loved challenges. On this website, I would love to share, too – my experiences, works and patterns. I will try not only to share pictures of my WIP’s and FO’s, but also tell more about how I created them, what was easy and what wasn’t, what I’ve learnt along the way. I love to hear back from you, so please feel free to comment! You can also contact me at silkandwool.eu [at] gmail [dot] com. Leyla, I knit so that I don’t kill people is just perfect! Hello, recently I translated into Italian Eli baby dress pattern, I found some errors, I would like to send you the correct version. Have been trying to view tutorial for tuck stitch and will not open nor download. Can you help or direct me to another source? Leyla, Im knitting your leafy baby blanket. Just want to make sure I’m casting on the right amount. Ive casted on 170. Your pattern said 15x (# of repeats) +10. Hi Chelsea, I’m afraid it doesn’t seem right to me. 170-10=160. But 160 doesn’t divide by 15 evenly. How many repeats you would like to have?